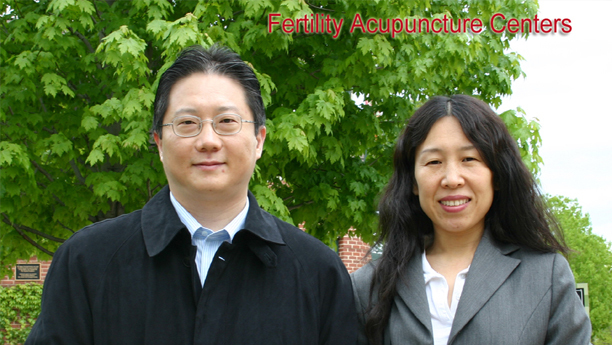 Dr. Zhang has three medical degrees , and Dr. Yang have two medical degrees. We have double and triple training than other Medical Doctors in China. Two person have 5 Medical Degrees from the most prestigious medical schools in China. Both of our practitioners each have twenty years integrated medicine experience as leading physicians at the top hospitals in China. Our practice are deeply rooted in the first class Chinese Medicine institutions, including working at the most prestigious teaching hospital, the Beijing University hospital; working at the most renowned research institution, the China Academy of Chinese Medicine, and working at the best known #1 practice hospital in the capital, the Beijing Hospital of Chinese Medicine. Both of us have been Medical Doctors from the late 1980s. Our practitioners are top doctors from China who received the highest Chinese government academic achievement award for our outstanding contribution in the field of traditional Chinese medicine, including the Capital's five star ranked Science and Technology Award by the Beijing Government, and the first class government clinical award by the Beijing Bureau of Chinese Medicine. Our achievements were intensively reported as the leading article by the top media in China, including the Health Daily and the National Chinese Medicine News, both of which are top medias directly run by the Ministry of Health. Our Extraordinary Traditional Chinese Medicine practice are nationally recognized in the China through extensive documentation from Beijing government, and our world leading status of acupuncture and Traditional Chinese Medicine, has been demonstrated by sustained national and international acclaims. Our Extraordinary Ability status (EB1-a) in the field of Traditional Chinese Medicine was officially approved by U.S. Department of Homeland Security Citizenship and Immigration Services. This status is higher than outstanding professors (EB1-b). Our high quality services, originated from more than twenty years of our work experience, have benefited not only Chicagoans, but also patients from other states and other countries. However, our fee is designed to be affordable for white collar and blue collar normal Americans. Our flat rate (US$80 for initial and US$60 for follow-ups) is lower than the average charges in our industry. We adopt "Highest quality service with the affordable below average fee" policy, we treat high volume patients every week and our solutions are widely welcomed by people from all walks of life for their acupuncture and herbology needs. We offer effective alternatives for people who were frustrated and failed from modern medicine and drugs. Published by New World Press, Beijing, China. 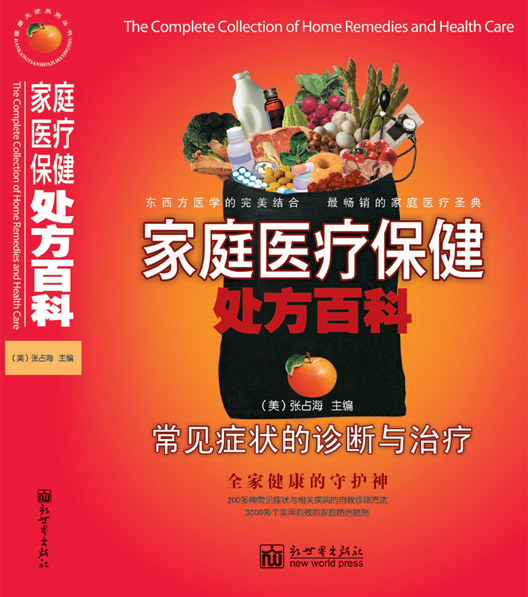 "The Complete Collection of Home Remedies and Health Care -Diagnosis and Treatments" by Zhanhai Zhang, MD.(China),Ph.D. (China), Licensed Acupuncturist(USA). Best selling Medical Care Classics in China, fabulous combination of Eastern and Western Medicine. 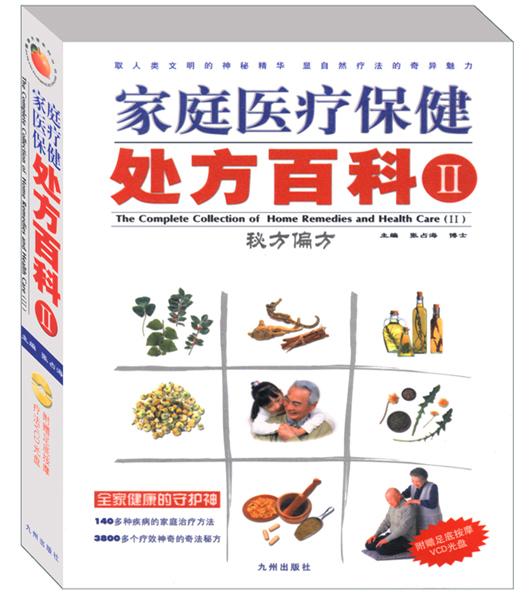 "The Complete Collection of Home Remedies and Health Care -Diagnosis and Treatments"
"The Complete Collection of Home Remedies and Health Care--Chinese Secret Formulas"